I’ve got that mid-Winter nature and crafts itch. 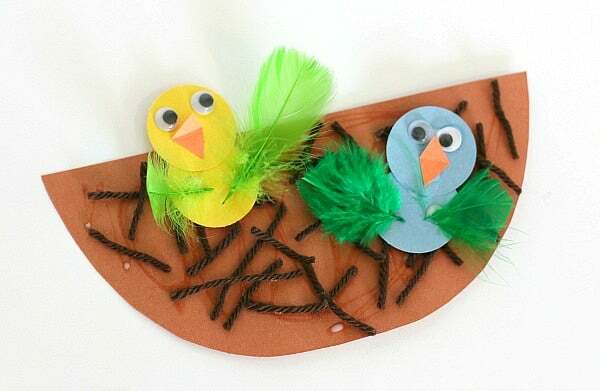 You know the one where you want to find good crafts and activities for children. Hoping to brighten up your dreary dark Winter walls with cheerful artwork and projects. Maybe it’s just me with a house that is lacking in windows and natural light! I am hoping this provides any parent, grandparent or caregiver with a tremendous amount of bird activities to stay busy all Winter long. Do not worry if you do not know much about birds because we have you covered there as well. Check out my Free Bird Watching Resources. Since Winter is a great time to bird watch why not at bird crafts and activities to the mix. Sure you could do snowflakes, snowmen, and the like. I’m a little sick of the cold and snow. Bring on the birds! The following ideas were contributed by fellow Kid Blogger Network Bloggers. These bloggers have really awesome ideas. ENJOY! HOW TO HELP BACKYARD BIRDS BUILD THEIR NESTS by What do we do all day? Thanks for including our Bird Watching Activities! I think it’s a great way to get kids outside and interested in wildlife, even in these cold, dreary days of winter. I’m so glad you’re encouraging people to do this! Lots of great resources here. Thanks for sharing links to ours! So glad to include you. So glad to have added yours. We are just getting started. Thanks for sharing my posts about birds in this great roundup of ideas! I am pinning to remember more of them for later! Thanks so much for including our pine cone bird feeder and craft from In a People House! Pinning this for the future! What a great resource for bird lovers!! I’m pinning this to come back to and thank you so much for including our Waterhole Wednesday! Love sharing ideas from others.